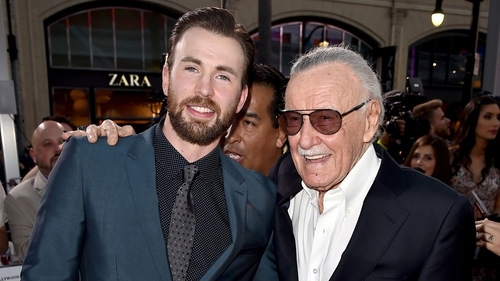 Tributes have been pouring in for the late Marvel co-creator Stan Lee, with Captain America star Chris Evans saying he has left "an indelible mark" on so many lives. Lee died at the age of 95 on Monday in Los Angeles. "There will never be another Stan Lee," Evans shared on Twitter. "For decades he provided both young and old with adventure, escape, comfort, confidence, inspiration, strength, friendship and joy. He exuded love and kindness and will leave an indelible mark on so, so, so many lives. Excelsior!!" Hugh Jackman said he feels "proud" to have been a part of Lee's world by bringing his character Wolverine to life on the big screen. 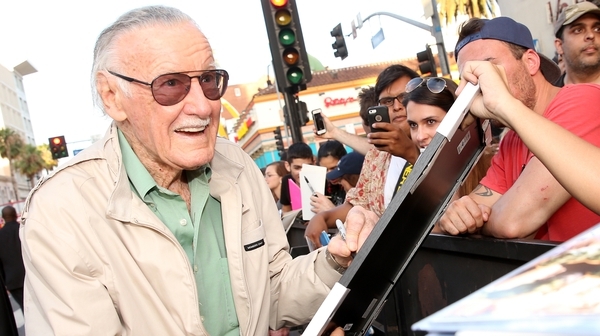 Spider-Man star Tom Holland also paid tribute to "the father of Marvel". The 22-year-old played Peter Parker in 2017's Spider-Man: Homecoming and will reprise the role in 2019's Spider-Man: Far From Home. Holland shared a picture of himself seated next to Lee to his Instagram account, with the caption "How many millions of us are indebted to this guy, none more so than me. The father of Marvel has made so many people so incredibly happy. What a life and what a thing to have achieved. Rest in peace Stan." President of Marvel Studios Kevin Feige spoke of Lee's "extraordinary legacy" and the impact he had on his career. Actor Seth Rogen thanked Lee for "making people who feel different realise they are special" while Deadpool star Ryan Reynolds simply thanked him. Entrepreneur Elon Musk spoke of how the "imagination and delight" he created will last forever. The official Twitter account for The Big Bang Theory shared a photo of Lee on set with the cast, with Lee having appeared on the show in it's third season. Director Edgar Wright, who was previously attached to Marvel’s Ant-Man, thanked Lee for inspiring him.